For macro (close-up) photography of geckos that tend to move, you need a photography setup with strong, even lighting, and you will need to shoot on your camera's "Manual" setting, in order to get the best images possible. For what we're doing, there are really only three basic settings you need to understand. ISO, Shutter Speed and Aperture. The idea is to get these settings dialed in to create the best image possible with your equipment and setup. To adjust these settings, you'll need to set your camera to "Manual" mode. Every camera is a little different, but any decent digital camera should have these settings. Don't be afraid to open the owner's manual if you aren't sure how to change these settings - it won't take that long, and what you learn here will be worth it. This is a light-sensitivity-related setting that is carried over from regular film cameras. With film, there are different types of film rated for different ISO speeds that you can choose. 100 speed film was good for well lit photos, 200 for every day use and 800 for sports photography and so on. The higher the ISO setting, the more sensitive to light the camera is...allowing other settings to be set higher/faster to provide better focus, which is especially important when shooting a moving subject (like an athlete). Changing the ISO setting is the "cheapest" fix for poor lighting. Unfortunately, the catch here is that the higher the ISO setting, the more grainy your image will look. With this being the case, I try to always shoot on ISO 200 or lower. Any higher than this will degrade your images too greatly. My advice - try playing with the settings on your camera. You might like what you get on ISO 400 or ISO 800, but keep in mind that it may be too grainy. The shutter speed is extremely iportant to understand - and it's extremely simple. The shutter speed setting describes literally how long the camera leaves the shutter open to record an image. This is also sometimes called exposure time.The faster the shutter speed, the faster the image is recorded, and the sharper the focus. When you set it to 1/125, that's 1/125 of one second. That's going to close the shutter much faster than 1/32. The faster the shutter is closed, the less movement will be picked up in the image, therefore it's going to come out in better focus. This is especially important when the subject and/or camera aren't completely stationary...like a snakes tongue in mid-flick, a gecko that just won't sit still, etc. On top of that, my hands aren't always steady either, so a fast shutter speed is nice. Focus problems solved, right? Almost. The big catch with a faster shutter speed is that it requires more light than the light fixtures in your home can produce. This is where flashes, both on-camera and off-camera (shown in photo below right), come into play. We'll talk about that later on. F-3.5 opens the aperature more than F-14, so that it's more sensitive to light, meaning less light is needed to shoot at the same shutter speed. Unfortunately, there's always a trade off! The trade-off here is that you get less depth of field. This is where you see a picture of a reptile where one part, such as the face, is in focus and the rest is blurry because it's slightly closer or further from the lens. The higher the F stop, the more depth of field you'll have and the more focused the entire image will be. For artistic images, you might not want so much depth, but I like to have most or all of the subject in focus when I'm photographing reptiles. So with reptile photography, we want a high "F stop" setting. I tend to shoot most images at F-14 to F-18, but a little lower probably wouldn't hurt. If you hadn't already noticed, lighting is by far the single most important aspect in shooting sharply focused reptile photographs The issue is, you need a LOT of light to shoot at those fast shutter speeds, but you need that light to evenly surround the subject. Too much light coming from one angle and not another (eg. the flash on your camera in a poorly lit room) is going to create harsh shadows, and usually the front of the subject being blown out or over-exposed. There are a lot of ways to get around this. The first thing you need is a light tent. There aren't many things I'll say you need...not even an expensive camera. But unless you're shooting pictures in broad daylight, you will benefit from a light tent. To stress the importance, I can literally take better indoor reptile pictures with a $150 camera and a $45 light tent than I could with a $600 camera and no light tent. I buy them on Amazon or eBay. 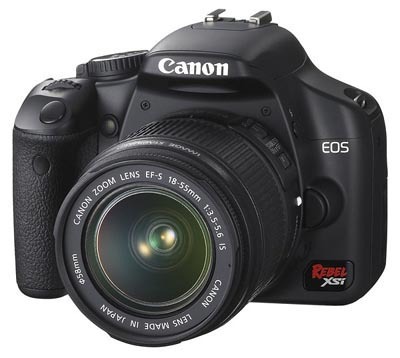 They're relatively inexpensive in terms of photography equipment. Even $40-50 would buy a really nice one, so I replace them as they start to become dusty and look shoddy. Usually every couple years or so. Many light tents will fold up into a little disk when not in use (they have a wire frame), so space isn't much of a concern. 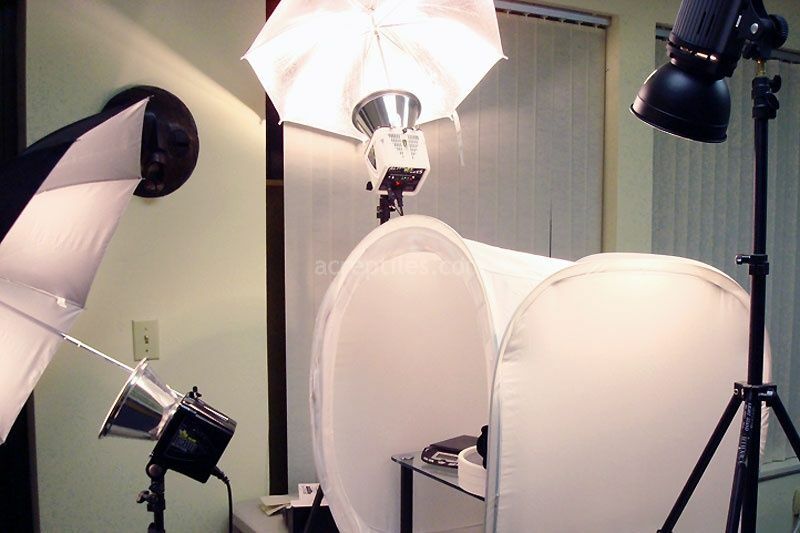 A good light tent is essentially made of a translucent white cloth. When a flash is fired, the white cloth allows light to reflect off of it and bounce around the tent, which eliminates harsh shadows. The other cool thing about it being translucent is that light will pass through it, so it effectively softens the light with each "bounce". This eliminates the overexposure you see in a lot of images. This softening and reflecting effect is really ideal for creating a nice, evenly lit image. Because of its translucency, the strobe/flashes like you see in my setup, and modeling lamps (think dome lamp on a tripod), can be aimed right at the top or side of the light tent. FYI - The photo you see (above right) was taken about 6 years ago, but is the same studio setup I've been using for over a decade. The only change I've made is that I've gotten larger umbrellas and I only use two strobe flashes instead of the three you see in the photo. My current light tent is the same size/shape, but I now use the black backdrop that came with it.